Roger Schank, PhD, is CEO and founder of Socratic Arts, Inc. and director and founder of Engines for Education, Inc. Previously, he was chief learning officer of Trump University. 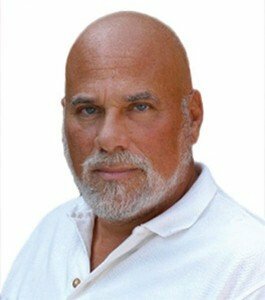 Roger Schank, PhD, is CEO and founder of Socratic Arts, Inc. and director and founder of Engines for Education, Inc. Previously, he was chief learning officer of Trump University, chief education officer of Carnegie Mellon University West, and Distinguished Career Professor in the School of Computer Science at Carnegie Mellon University. In 1989, Dr. Schank founded the renowned Institute for the Learning Sciences at Northwestern University where he is John P. Evans Professor Emeritus in computer science, education, and psychology. From 1974 to 1989, he was professor of computer science and psychology at Yale University, chairman of the computer science department, and director of the Yale Artificial Intelligence Project. He was a visiting professor at the University of Paris VII, assistant professor of computer science and linguistics at Stanford University, and a research fellow at the Institute for Semantics and Cognition in Switzerland. In 1994, he founded Cognitive Arts Corp, a company that designed and built high-quality multimedia simulations for use in corporate training as well as for online university-level courses, which were built in partnership with Columbia University. He also founded the Cognitive Science Society and cofounded the Journal of Cognitive Science. Dr. Schank received the 2001 American Society for Training & Development Award for Distinguished Contributions to Workplace Learning and Performance and was named the number one e-learning guru by Epic Group in the United Kingdom in 2005. In 2007, Dr. Schank cohosted CNBC’s Business Innovations with Maria Bartiromo. He earned a BS in mathematics from Carnegie Institute of Technology, an MA and a PhD in linguistics from the University of Texas, and an honorary MA from Yale University. AI: Why Have We Always Been Asking the Wrong Questions?